Today felt like spring for a bit. Morning showers washed away the snow we had gotten earlier this week and thoughts of picking fresh vegetables and visits to the farmers market came to mind right away. 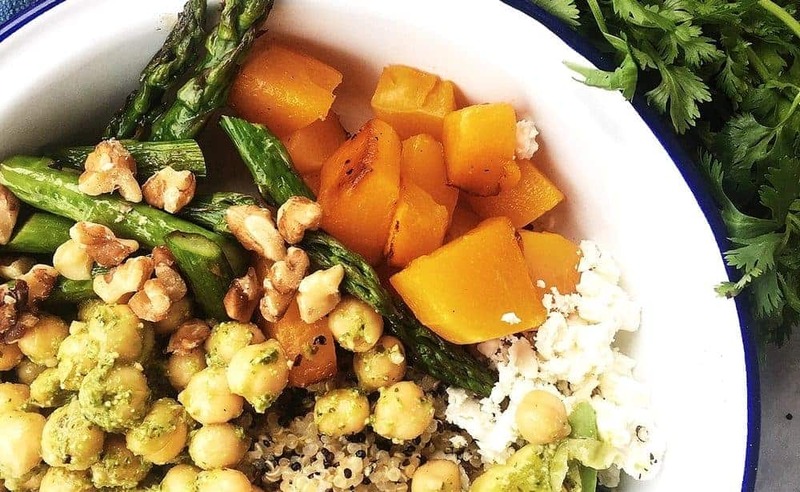 There’s something about Spring that makes me want to leave behind all the soups I cook during the winter and dive into salads and quinoa bowls. 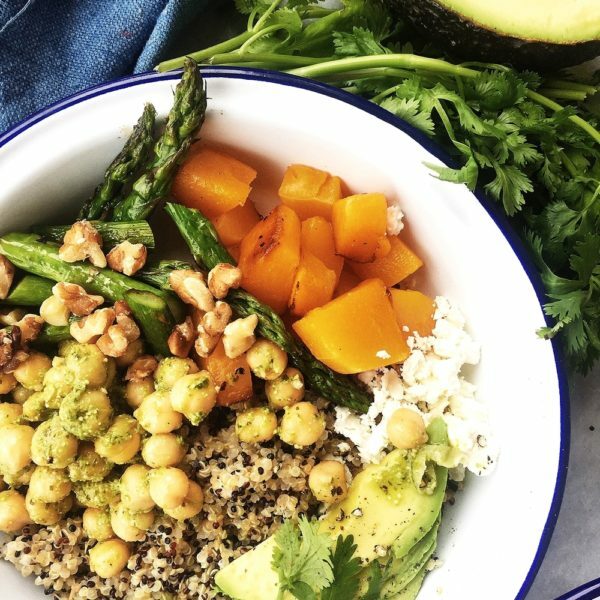 As the farmers markets have a few weeks left to open, the inspiration for this quinoa bowl came from my pantry and fridge. 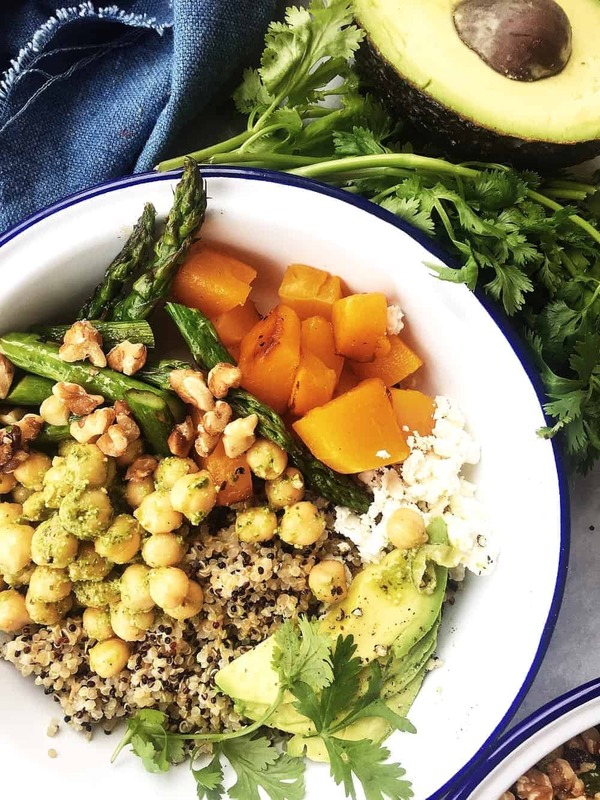 It was the kind of day where I gathered it all, vegetables and spices, homemade pesto, and a perfect avocado that made it come together into one of my favourite bowls to date. 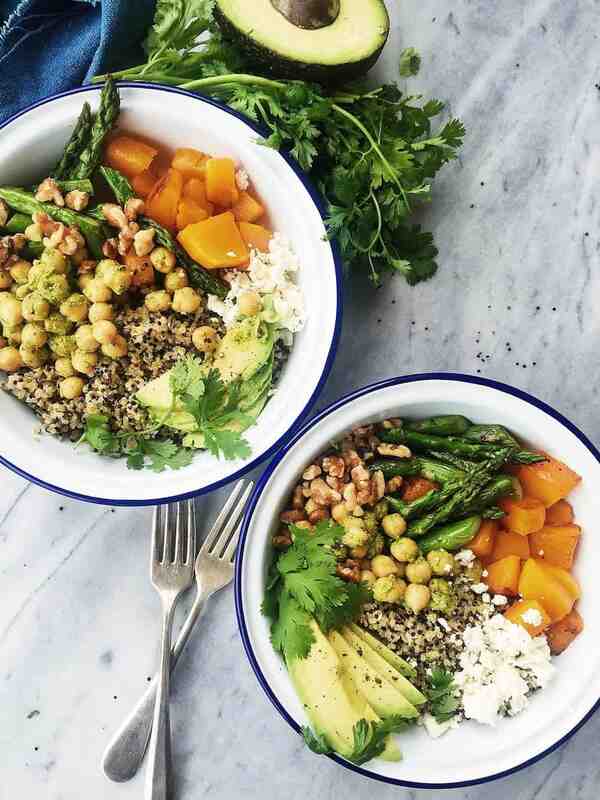 The beauty of a grain bowl (you could also use farro, bulgur or couscous) is that besides being the easiest thing to make, you have the freedom of using them as your canvas and mix in everything you have on hand, creating a healthy meal made in no time. 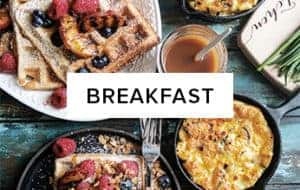 If you happen to make some on the weekend, do a meal prep for the week, layer the ingredients into mason jars, bring them to work and you’re set. Would love to hear how yours turned out! Preheat your oven to 375 F. In a small bowl, mix 2 tablespoons of olive oil and 2 tablespoons of maple syrup. Cut the squash in half and brush the maple olive mixture onto the squash. Place on a baking sheet, cut sides down and bake for 15 minutes. 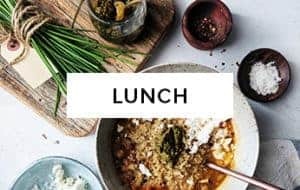 Cook one cup of quinoa with one cup of water, 1 cup of coconut milk and a pinch of sea salt.Set aside. 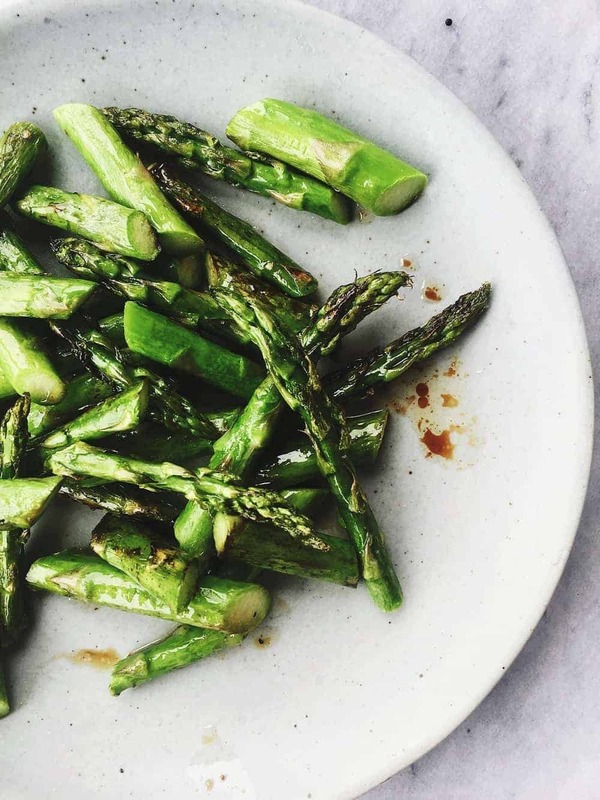 Cut the asparagus in small pieces, and add them to the same tray as the squash, coat them with one tablespoon of olive oil. 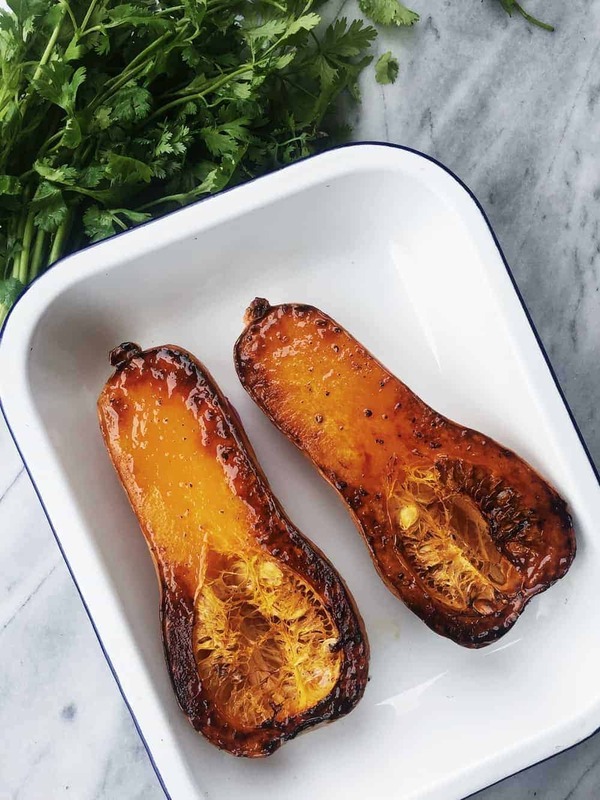 Turn the squash cut sides up and bake for an additional 15 minutes. Take the vegetables out of the oven and let cool for 10 minutes. Place the squash in a cutting board and cut into 2 inch cubes. 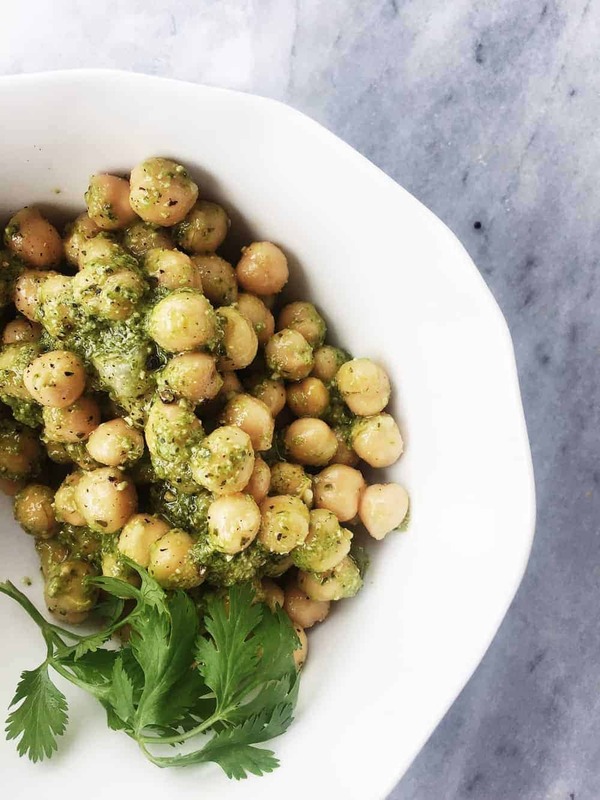 In a bowl, mix the pesto and chickpeas . 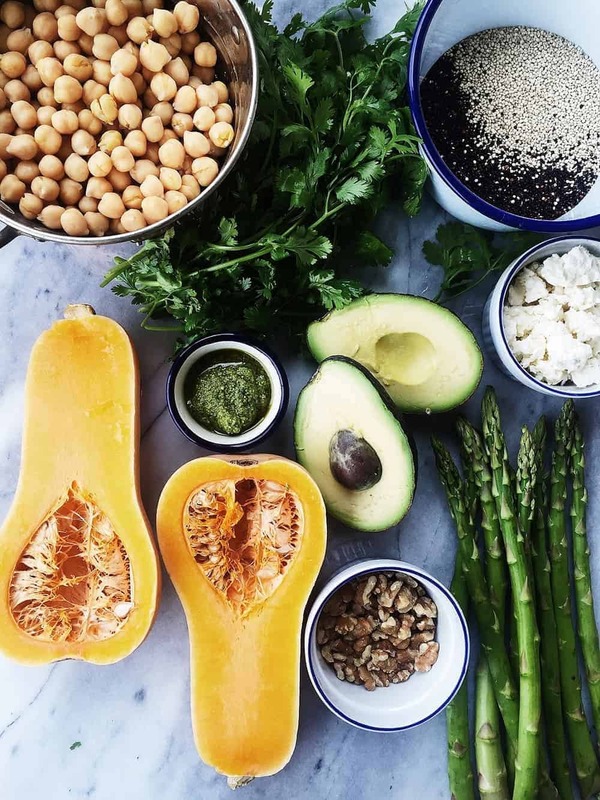 Divide the quinoa into 4 small bowls, add squash, asparagus, feta, chickpeas, avocado , walnuts and cilantro. 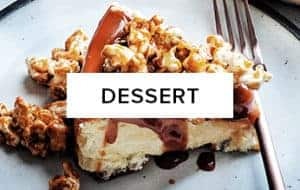 Vegan option: substitute feta for tempeh, seitan or tofu. karen! Long overdue 🙂 thanks for your words and kindness. 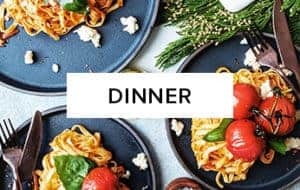 I hope you are enjoying the latest recipes!